Okay, on to the fix. I asked for more formal stuff this time around: I have clothes to wear when I’m feeling lazy and for the price, I’d much rather get some nice stuff to wear out. 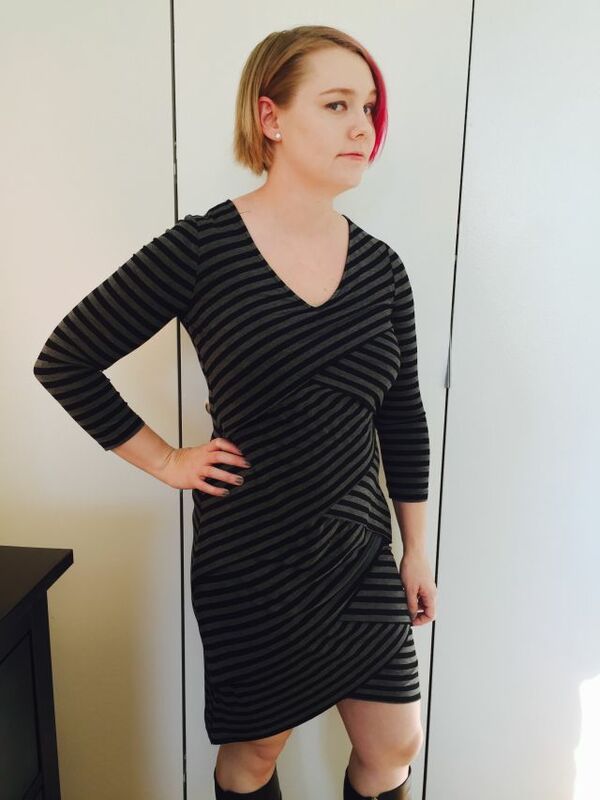 Okay, first up, a stripe dress. I was on the fence on this because I hate my stomach but I think the way this is cut it’s flattering and even with my not-perfectly-flat stomach, it’s a winner. Second: a black-and-white button down shirt type thing. It’s a little flow-y, but I think I like it. Thoughts? 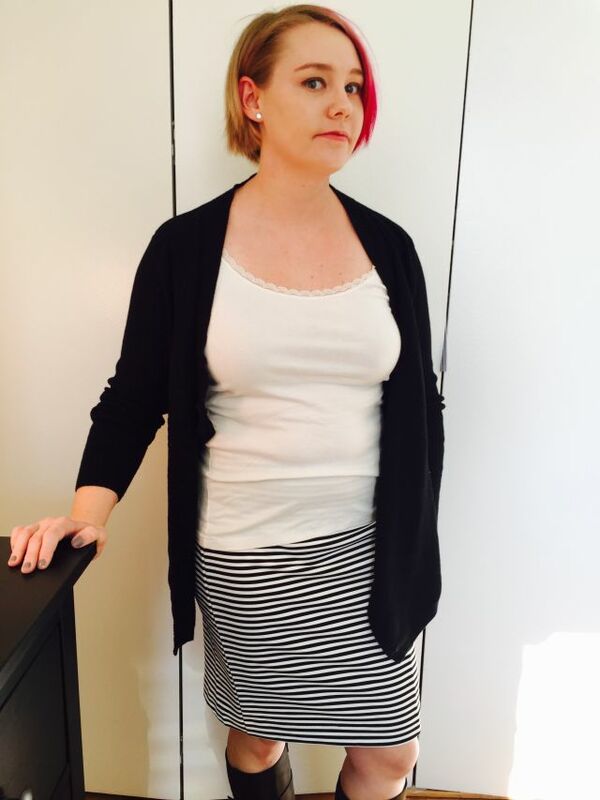 Third: the striped cardigan. 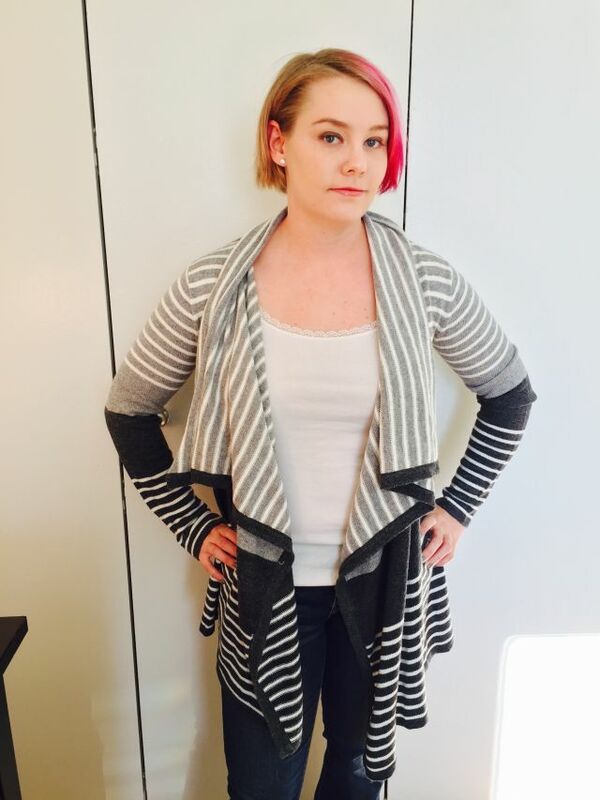 I have a lot of drapey stuff like this, so I thought I wouldn’t like it (I really want more cardigans but I kind of want them more structured and with buttons) however this one looks AWESOME on me. So keeping it. Fourth: the striped skirt. I… don’t know how I feel about this one. You can kind of see where it makes my stomach look a little flabby under the camisole (yes, please stare at my stomach and analyze it, I love that, but I asked for it so whatever) and the stripes made my husband feel a bit dizzy. Thoughts? 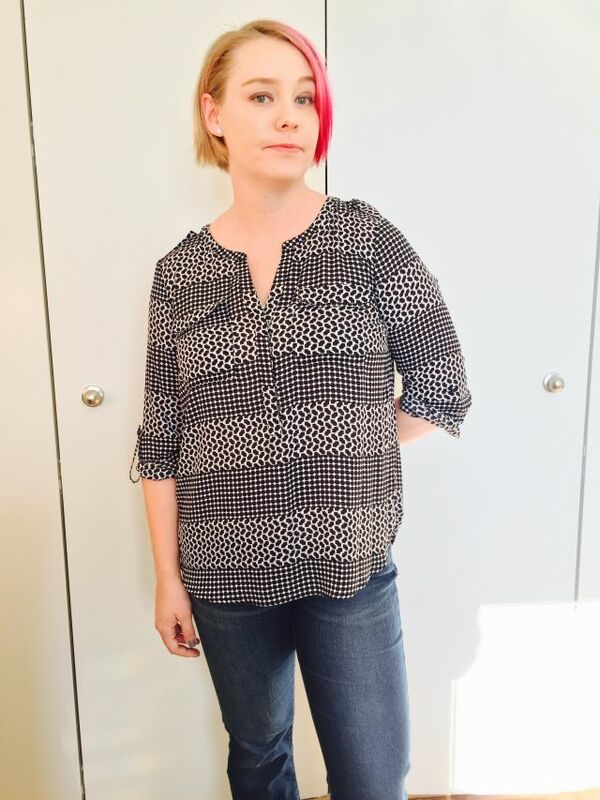 Fifth: A silk shirt that has a fake lace pattern on it. I don’t know how I feel about it. My stylist Cailin gave it a thumbs up and said it looked like it was supposed to be this big and baggy but I feel like a bit of a potato wearing a sack that has a weird fake lace patter on it. Okay, what would you keep and what would you tell me to chuck? 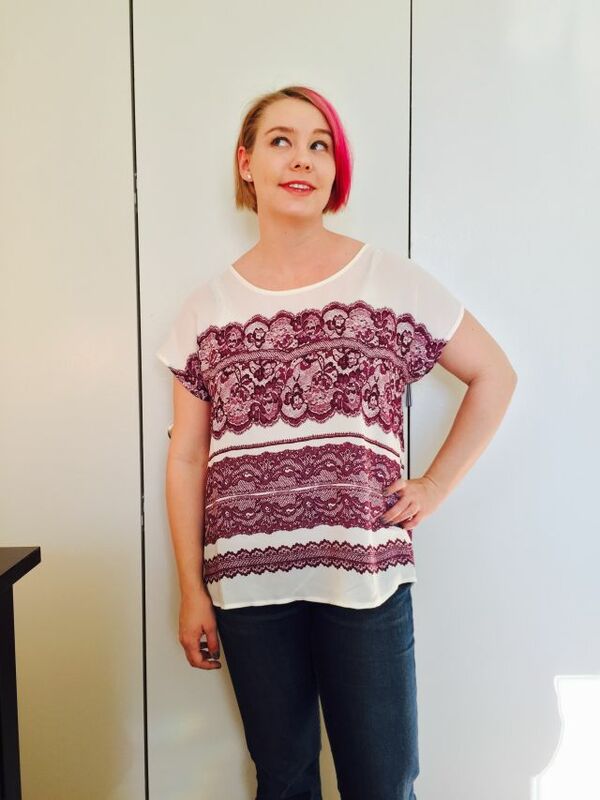 1 Comment on "Stitch Fix, February, 2015"
the dress and sweater are fantastic and look great on you!